So apparently Where the Wild Things Are is one of those movies that divides people so completely, and in such unexpected ways, that it's thoroughly impossible to predict the reaction of the person sitting right next to you. Over at Entertainment Weekly, the reviewers are having a blowout. Elsewhere on the internet, daft people have assumed the film is an obnoxious representation of some sort of hipster angst. A New Sincerist travesty of melancholy with Dave Eggers at the wheel. At work, people think the film is just dull. Between my normally easily charmed parents: one thinks the film is a little dark for kids, the other thinks it's too childish for adults. This is the general debate, of course, whether the film is an adult film masquerading as children's fare, or something appropriate for kids. Alright, let me set the record straight. One: all of the best family films appeal to all ages. I'm sure if The Wizard of Oz was made today it would be released to an uproar of overprotective parents crying foul as Dorothy wandered through a world ruled by a figurehead, terrorized by shrew of a woman with a band of incomplete projections of neighbors and relatives. Two: give your kids some credit. They're likely familiar with concepts like divorce and loneliness, and guess what? Most of them actually quite like large furry monsters. Crazy, right? Don't project your own uncertainties and views of the events in the film onto your children. They don't see what you see in the film, and they're capable of processing something other than fart jokes. Three: i'm pretty sure if you don't understand this film you've completely lost touch with what it was actually like to be a kid. This is not. I repeat, NOT, hipster posturing. 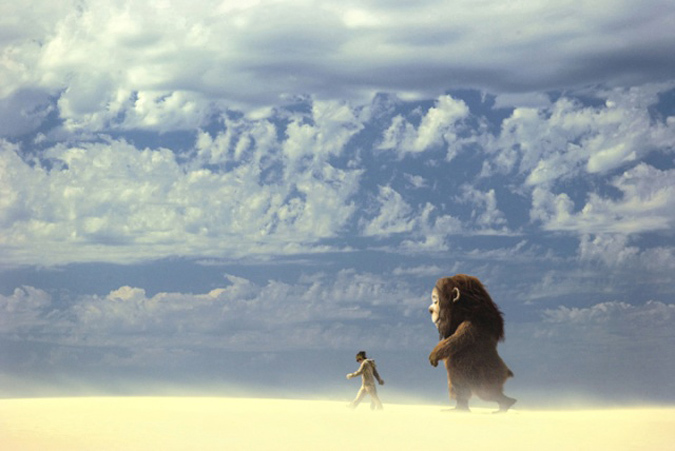 Where the Wild Things Are is an honest, sad, and beautiful film that does a remarkable job adapting what a young boy took from Maurice Sendak's brief picture book for the big screen. It feels, at every turn, like a labor of love. Director Spike Jonze has been attached to this project in some capacity since before 2005, and thank god for it. Jonze understood the delicate nature of the project, and the reverence the book is held in for the children who grew up with it. 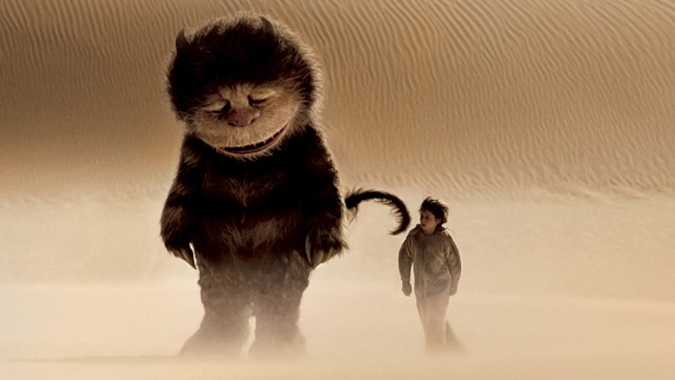 What could have, in the hands of Dreamworks animation studios or a Michael Bay megalomaniac, become a disaster of CGI antics and overwhelming schtick is instead a love note not merely to Sendak and the Wild Things, but to childhood. He takes the plight of 9-year old Max (Max Records) seriously, never trivializing the weight and repercussions of the situation in the boy's mind. We are shown the events leading up to Max's flight of fantasy, and I was moved by how relatable they felt, how many times I'd been that person or seen that happen to someone else. Every snowball fight, every accidental nose bleed came rushing back. For me, it was like Proust's madeleine, and it hit me. Hard. Yet, my personal reaction has little to do with the merit of the film itself. 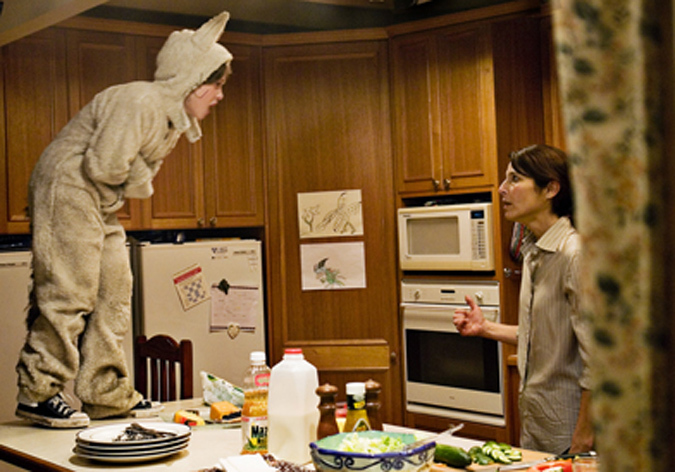 The movie doesn't just manage to make Max a three-dimensional character, Jonze also, as I'm sure you're well aware by now, takes the Wild Things themselves quite seriously. As possibly imaginary projections of Max's psyche, they bicker and fight, alternating between highs and lows and bursts of energy. They're hulking beasts with children's souls, unaware of the pain that they're capable of inflicting, but preternaturally aware of the injustices done to them. Carol (James Gandolfini) is prone to destructive fits of melancholic rage. He wants to keep the Things together, and doesn't know how to allow KW (Lauren Ambrose) to make room in her life for more. Judith (Catherine O'Hara), believes that everyone is out to get her, she can't deal with coming in second. Alexander (Paul Dano), suffers from a lack of self-worth. He believes that no one ever pays attention to him, and acts out accordingly. This is a new kind of storybook monster: one who isn't scary because of the size of their teeth, but who instead is worrisome simply because its ego is so fragile. Monsters like this are difficult. They're difficult because they're real, we see them as ourselves where we would rather see fantasy. Yet, the way they've been brought to life is astounding, their physical and emotional presence something to be reckoned with. Records and the 9-foot tall Henson Company produced puppets interact in a way that's flowing and natural. Everything about the progression of events seems unforced. Records, too, is something of a revelation. He never comes across as cheeky or cloying. He's an innocent, reacting accordingly to situations as they occur. If the boy isn't actually having the time of his life on Jonze's set, he's probably deserving of an Academy Award. Here, at last, is a movie that portrays children as they are. Not as ignorant, harmless, cutesy pieces of furniture to be used for comic relief, but as small people slowly learning the ins-and-outs of being human. Nobody can be happy all of the time, and some things can't be changed with a simple proclamation. Life isn't always a wild rumpus, and while many of life's problems go away with everyone harmoniously sleeping in a big pile, they'll just return come morning. The film's emotional core is one of heartache and frustration, ultimately optimistic, but in a way slightly more resigned than it was going in. The doubters, however, will find a foothold in the fact that the film is paced a little slowly. It's less children's movie than meditation on children, and while it's exquisite throughout, for those not content to take in the scenery, it might not be quite the wild terrain expected. 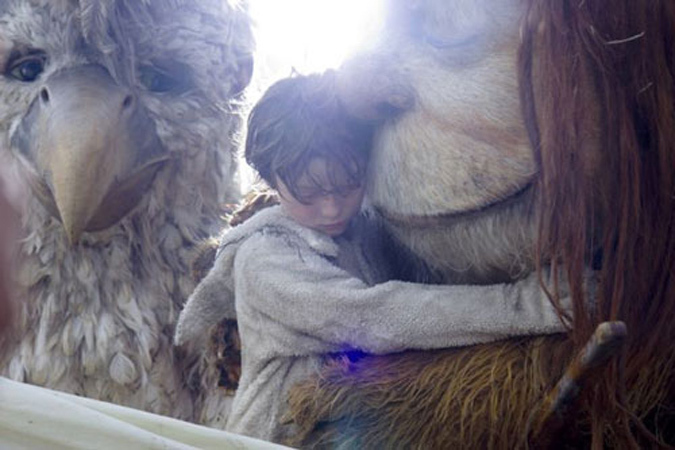 Otherwise, Where the Wild Things Are has all the makings of a classic. It's a breathtaking, timeless work of art that is a tribute to the talents of all of its creators, from Sendak to Jonze to the smallest of actors. While it's sure to cause derision, let the haters hate. The people who fall in love with this film will cherish it and keep it alive for generations to come.